The German language is one of the most closely related languages to English, and is an official language in Germany, Austria, Switzerland, Italy (South Tyrol), Liechtenstein and within the German-speaking community of Belgium. Globally, the German language is spoken by nearly 100M people. In the United States, German is the fourth most widely taught foreign language after Spanish, French and American Sign Language. In the European Union, German is the third most widely taught language after English and French. But enough of all that; here the top 6 interesting facts about the German language. 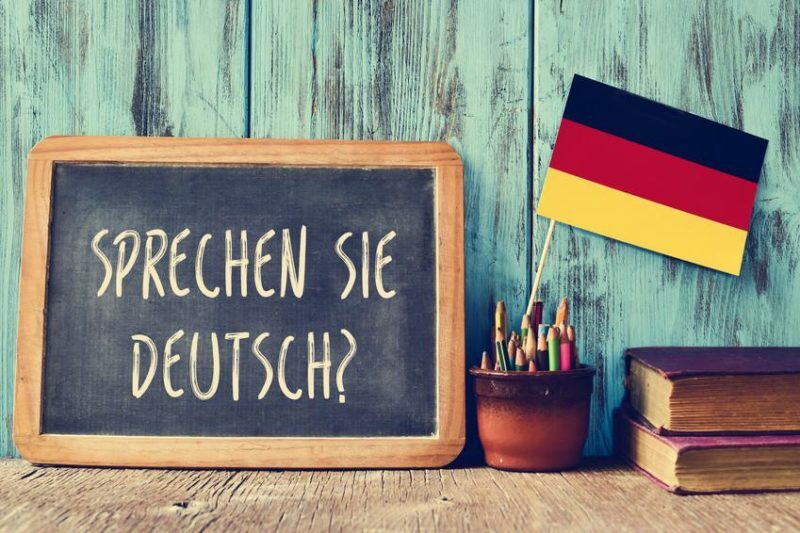 Sure, there are nearly 100M native speakers of German worldwide, but most of them are in Europe, making German the most widely spoken native language in the European Union. More than 15% of all EU citizens speak German as their native language. Among students of foreign languages, German is the third most commonly taught. German actually beats out Mandarin Chinese, Russian and Spanish, and is beat out only by English and French. We’ve all heard of the Gutenberg Printing Press. It was used to print the Gutenberg Bible. (I guess the Gutenbergs were really creative with naming things, right?) While books existed prior to 1454, when the Gutenberg Bible was printed, they were hand-written. The German language is closely related to English – so much so, that more than half of the words between these two languages are shared. So if you speak English and want to learn German, you’ve already got a great head start. For more basics, check out this post on the German alphabet.